Есть вопрос для Baan Kamala Fantasea Hotel? Посещая город Пхукет, вы почувствуете себя как дома в Baan Kamala Hostel & Guesthouse, где вы всегда найдете отличный сервис и доброжелательную атмосферу. Отель находится всего в 20. Km от центра города, а дорога в аэропорт занимает около 40 мин. Те, кто не хочет проводить все время в номере, могут посетить множество интересных мест, и Оазис Спа Пхукет Камала, BS Collection, Boss Tailor — лишь некоторые из них. Предлагая гостям превосходный сервис и широкий спектр услуг, Baan Kamala Hostel & Guesthouse стремится к тому, чтобы сделать ваше пребывание здесь максимально комфортным. Обслуживание номеров 24/7, бесплатный Wi-Fi в номерах, ежедневная уборка, доставка продуктов, услуги почты и другие работают для вас, создавая незабываемые впечатления от пребывания. Кроме того, номера прекрасно благоустроены (телевизор с плоским экраном, Wi-Fi, Wi-Fi (бесплатный), номера для некурящих, кондиционер), чтобы удовлетворить даже самых взыскательных гостей. Предлагаемые здесь удобства (массаж, сад, караоке, игровая комната) помогут вам отдохнуть и расслабиться после насыщенного дня. 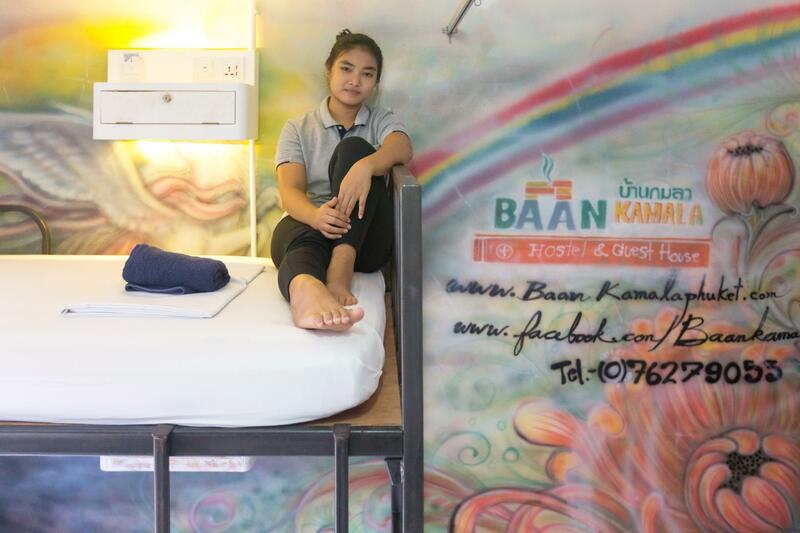 Превосходные услуги и удобное расположение делают Baan Kamala Hostel & Guesthouse идеальным местом для проживания в городе Пхукет. Улучшенный двухместный номер с 1 кроватью. Персонал очень дружелюбный, решает все вопросы. расположение отеля очень удобное даже для тех кто не будет пользоваться такси и личным транспортом..
Now our Kamala beach nature is more natural same as all our calming hotel also same service mind staffs team that all are waiting for you come back. And not too far from entertainment. Жили 4 дня в номере Penthouse Suite With Kitchen. Он единственный в отеле, расположен на крыше. Огромная площадь номера, панорамный вид на окрестности. Дружелюбный персонал. Отличное сочетание цена-качество. Немного напрягал шум от центральной улицы. Совсем рядом 7/11, Tesco lotus express, Big C.
Thank for your value comment; Our room rate is lower than the time before. we had change the new darker curtain with "new soften mattress" and the next noisy bar is no have anymorefor 100% sure that better for your sleeping quality By the way we had improve more invest renovate for your comfortable and luxury facility in the room also common room share areas. For your great suggestion our breakfast is more testy choices and quantity wish us serve you and your family again. Thanks Mr.Howe to let our staff enjoy to be the part of surprise celebration your girlfriend’s birthday week. We are appreciate with proud of your review and still keep it better. From your helpful recommend we are just added sound insulation between the room to prepare your happiness return with us again. 20 путешественников(а) считают этот отзыв полезным. А вы? Pon the owner is very down to earth and helpful, he was actively asking for feedback as to how to further improve the hotel. This is not resort style accommodation with a pool but rather more suited to travellers about 4 min walk to the beach and very close to town. Foxtel had some latency issues outside of that, great comfortable place, nice people and very clean...would definitely stay again. Note that this hotel is around 700m from the Fantasea fun park and is in no way related, only by namesake! Thanks Mr.Ian for extension stay longer with us. 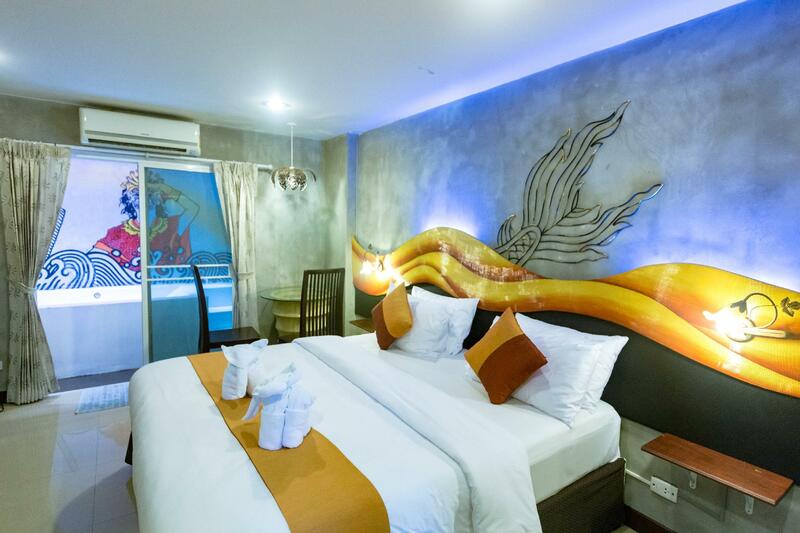 For attractive "Phuket Fantasea" is our theme most well known of decorate Thailand "Ramayana" Novel for the "Premiere Room" also we have special discount for entrance of entertainment with "Phuket Fantasea" Theme park for our guest too. 25 путешественников(а) считают этот отзыв полезным. А вы? The forced climb to the 4th floor (no lift) was arduous but worthwhile. Nice room although tv channels limited. Will be back. A very nice guesthouse, centrally located, in Kamala. The room was clean an comfortable. Good A/C and hot water. Housekeeping made up the room everyday. The young lady at the desk, during the day, is very nice and extremely helpful. I will be back to Kamala and I will, most likely, stay here. An excellent value. Thanks for your helpful reviews we are still upgrade more facility for your comfortable next time your return. 22 путешественников(а) считают этот отзыв полезным. А вы? spent a total of 8 nights here. If you plan on staying in Kamala, and all you need it sooner clean place to sleep, shower and change cloths, this is the place. The young lady that works the front desk is very helpful, if you need local information, and always has a smile on her face. My hot water wasn't working and she was right on it. 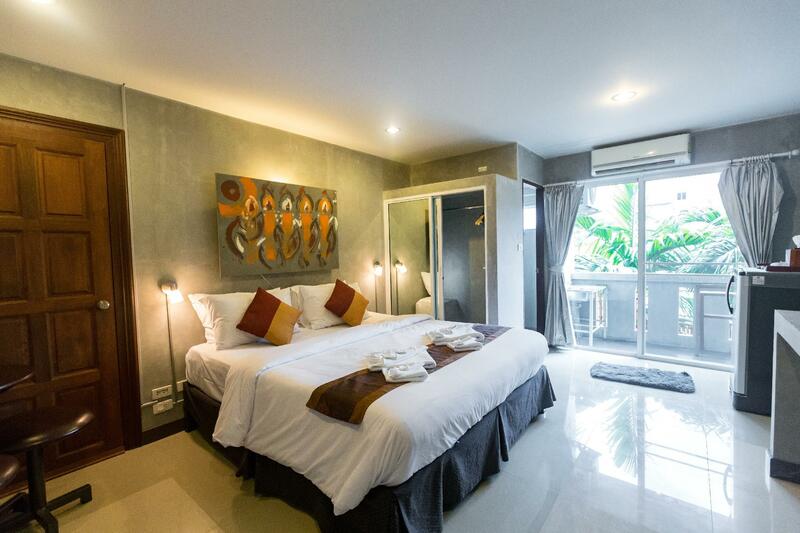 I needed a laundry, she pointed me to a close, reasonably priced place When I go back to Kamala, I will most certainly stay at the Baan Kamala Fantasea Hotel. Thanks for extension stay 8 night. We are sorry for hot water isn't working for a short time and we are finished fixed it quickly while your stay. Explore more Island sightseeing take your happiness by our travel information with us. Wishing you have smooth journey and we are looking for your come back again. 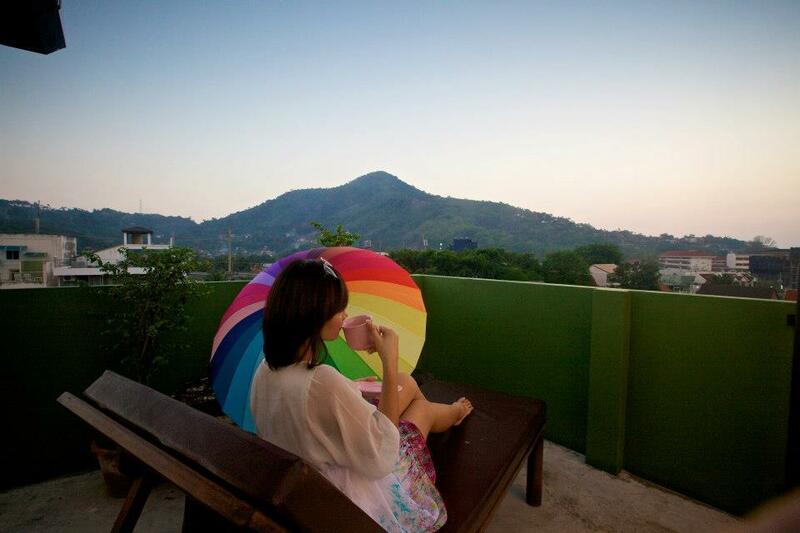 Thanks, Ms.Marie for your lovely couple stay with our Perfect location. Next time please reservation "Premier double" on the ground floor. 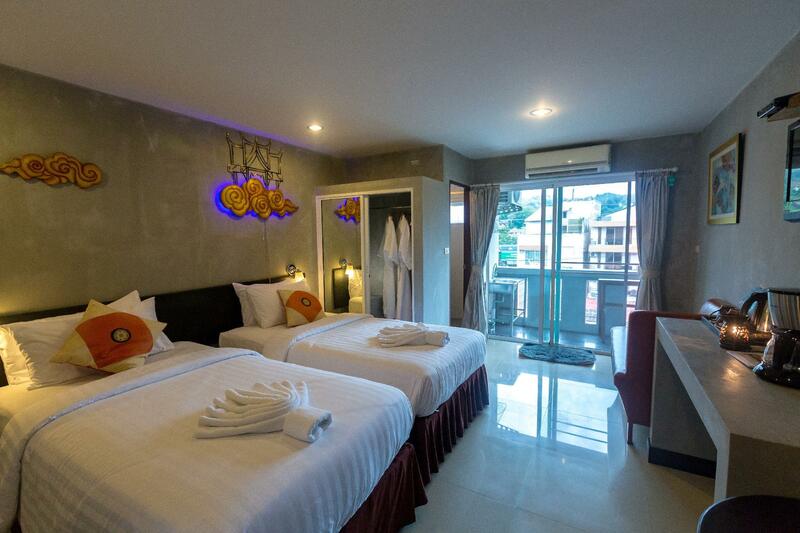 Or notice that 2-floor room that we can manage your more comfortable next stay. Clean room, hospitality staff, 24h availability at the front desk. Extremely nice beds, Perfect bathroom standard with roof shower. A huge space and a lovely view! Possibility to choose breakfast (American style). 72 easy steps up to the top nox room to get spoiled for a night or two. Beach towels and beach mattress are also available! we are appreciated that you satisfy your free upgrade to be 100 sqm suite room whole private floor on rooftop wish you spend time more nights to enjoy our service and explore lovely kamala town again. It's very good hotel near the beach. We enjoyed our stay in this lovely hotel. The staffs are very cooperative,friendly and amicable in behaviour. We are very pleased with their fantastic services and superb hospitality. What struck me first and foremost about my Baan Kamala is the relentless attention, kindness and assistance of managers and staff. Location was also advantage, implying only a short stroll to the beach via pedestrian-friendly streets (even during the busiest week of the year). Actually about half way from Baan Kamala to the beach features a building that was probably renovated after the 2004 tsunami, with traditional Thai architectural design — i.e. wooden walls on the upper level. Another highlight was the quietness of the guesthouse (probably due to the location of my bedroom that was the furthest away from the main street). Thanks for join our new year party; Your value suggestion make us develop in the better way. We try more satisfy for your next visit. Phuket' s still good for diving in Apr. hottest with low season room rate please give us more chance & wish your lovely son healthy too. The staff were friendly and made us feel very welcome, the room had everything we needed and was kept in great condition (very clean and tidy). It's down a quiet street with a few places to eat and drink just downstairs and is only a few mins walk to the main street and beach. Especially liked the chill-out area downstairs where you can read a book/play board games/make a tea or coffee and has wall plugs for charging your phone or anything else, it came in handy a few times. Many thanks for spend happiness New year period with us. Wish you enjoy our service and warming welcome to lovely location again. Thank for your value comment; Our room rate is lower than the time before. we had added Water heater from your order already. we had change the new darker curtain with "new soften mattress" and the next noisy bar is no have anymorefor 100% sure that better for your sleeping quality By the way we had improve more invest renovate for your comfortable and luxury facility in the room also common room share areas. For your great suggestion our breakfast is more testy choices and quantity more choice for air condition deluxe private room wish us serve you and your friends again. Clean Hotel, good location near to the beach, central in Kamala, helpful and very nice staff. Baan Kamala er et rimelig og bra hotell med store rom som er praktisk når man reiser med barn. Beliggenheten er også god. Kort vei til strand og shopping. serverer utmerket mat og gjør det enkelt for familier. Det beste med hotellet er dets hyggelige vertskap. De vet ikke hva godt de kan gjøre for deg. Water didn’t work the first night we got in, we couldn’t even finish shower. We told staff to fix it, I didn’t know how long they really took to fix it because they didn’t inform us, so we just waited till fell sleep- then went to ask the front desk and they said it’s already fixed. I don’t know why most of reviews here are excellent but for us is completely different. Small bedroom, small bathroom, not much bathroom stuffs. Welcoming receptionist, nice room (but a bit dark). Hair conditioner is pleasant. Thanks for stay with us have free upgrade from Deluxe to be Premier double room. the first floor room is suitable for lover because that make good all the day sleepy time LOL. We are happy for enjoy stay with us and looking forward to hearing from your lovely couple again. 30 путешественников(а) считают этот отзыв полезным. А вы? 11 путешественников(а) считают этот отзыв полезным. А вы? The rooms are really clean, comfortable and great effort in the decoration. The hotel is in a small street and the rooms are mostly inside, so no outside noise. Breakfast was good & staff adorable. Beach is around 10 min away walking distance. Downside, we had noisy neighbours. Merci pour votre évaluation de la valeur. Maintenant, nous avions déjà terminé l'isolation phonique et silencieuse pour chaque nuit. également plus d'installations ajoutées pour plus de confort lors de votre prochain séjour. Thank you for your assessment of value. Now, we had already finished the soundproof and silent insulation for each night. also more added facilities for more comfort during your next stay. 4 путешественников(а) считают этот отзыв полезным. А вы?